To understand the difference between dead weight and volumetric weight, let’s have a look at this example: what is the difference between one kilogram of feathers and one kilogram of lead? Their dead weight (1 kg) is the same; however, one kilogram of feathers will occupy much more room than one kilogram of lead.Therefore, shipping one kilogram of feathers will cost much more than shipping one kilogram of lead, and this is what is called volumetric weight. 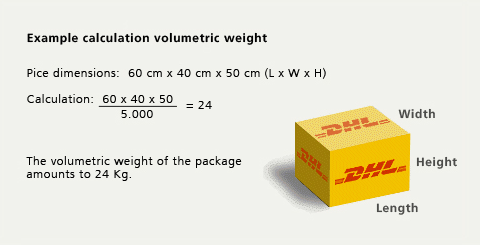 Most express couriers calculate volumetric weight as follows (length x width x height / 5,000) and will charge you the difference between the actual weight and volumetric weight. Please note that postal couriers will only take into account the actual weight of the shipment when charging you. However, they still have maximum dimension restrictions, and if you exceed these restrictions, the couriers will not accept your parcel. In any case, you don't have to worry about how to calculate the volumetric weight, as the platform will automatically compute it for you once you input the dimensions and weights of the products you plan to ship.